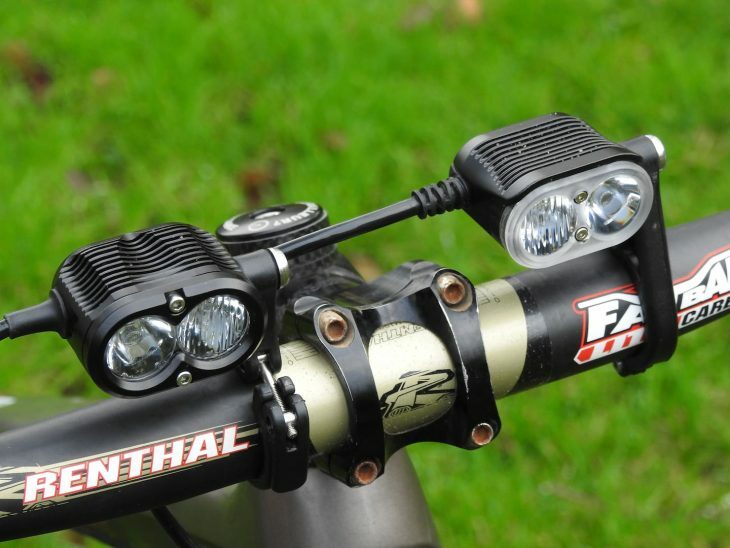 Review: Gloworm Alpha and X2 Lights – For Night Riders And Wildlife Safaris? “How much? 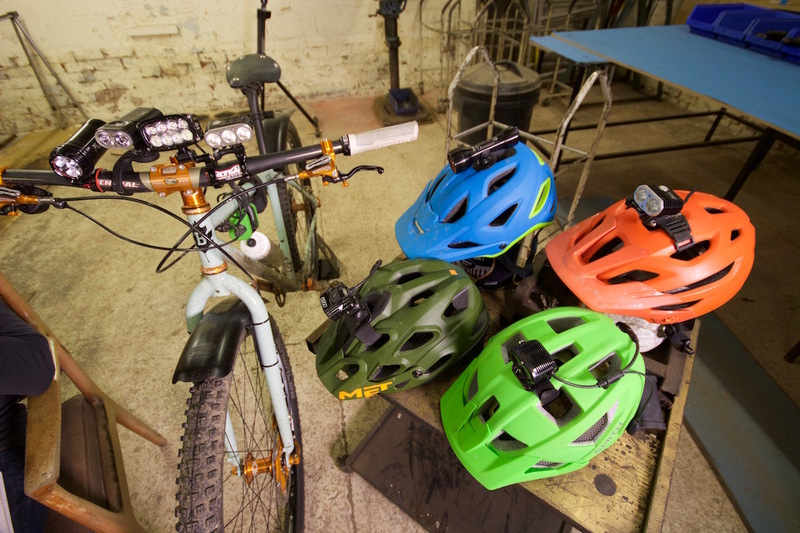 For bike lights!”, said pretty much every non-mountain biker when asking how much the super bright torches attached to our bikes and helmets cost us. 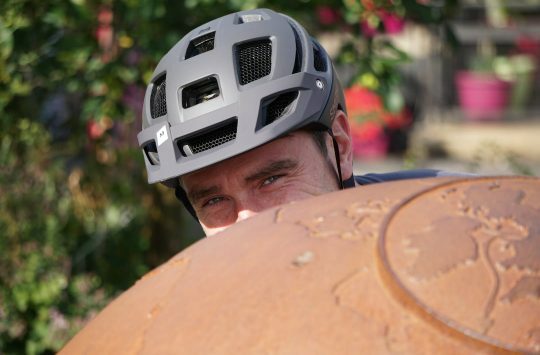 It wasn’t always like this: the first time I ever rode a mountain bike in the dark was with a £10 Chinese LED torch from Tesco attached to my helmet with a couple of cable ties. Of course I couldn’t see anything, and back then riding a bike at night felt like an adventure into the netherworld where tree branches jumped out at you without warning, rocks materialised out of thin air, and small drops looked like yawning chasms of darkness which would swallow both bike and rider. The Alpha, a good helmet mounted option. X2 on the left of the picture, Alpha on the right. Nowadays we don’t have these problems. 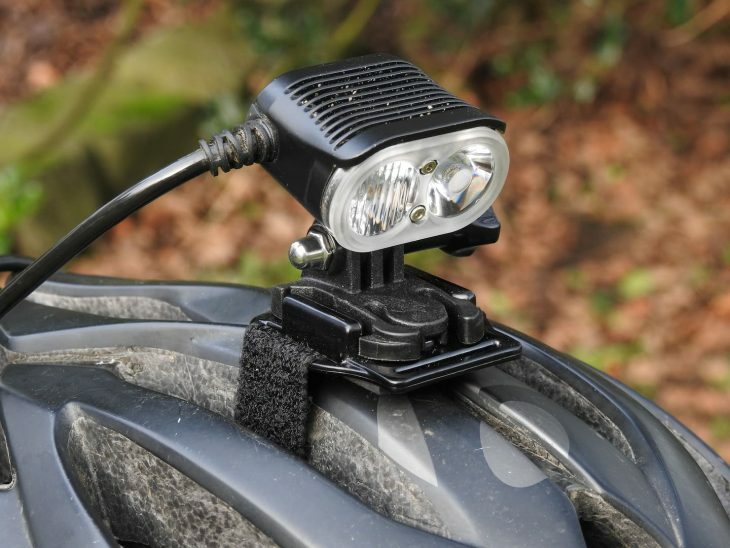 Thanks to modern LEDs and batteries, bike lights now resemble the sort of thing dodgy countryside types in pick-up trucks use to spot wildflife for their nefarious hunting activities. 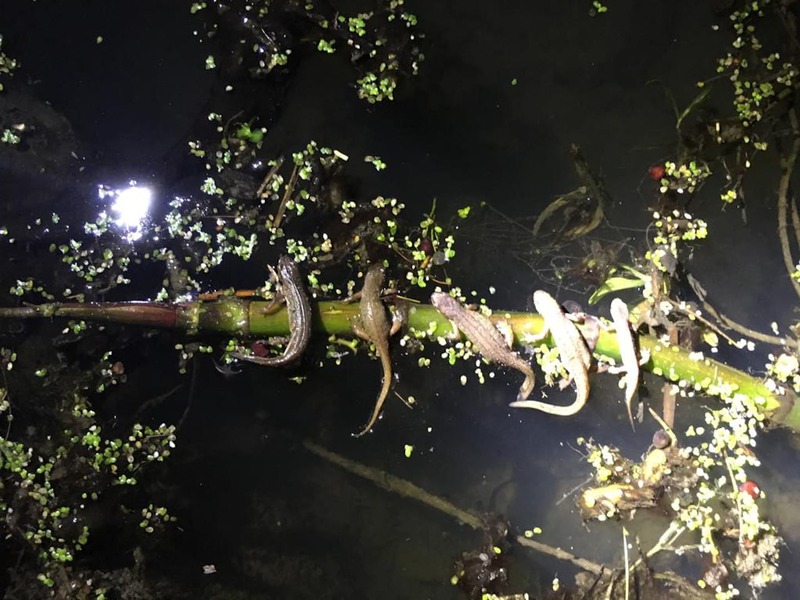 Unless you’re my Mrs that is, who uses my expensive precision engineered cycle specific 2000 lumen headtorch for lighting up local ponds to observe the newts and toads. Which is a good thing, as it helps justify future bike light expenditure. If only I could get her to go on wildlife spotting excursions on a top of the range full suspension xc bike. 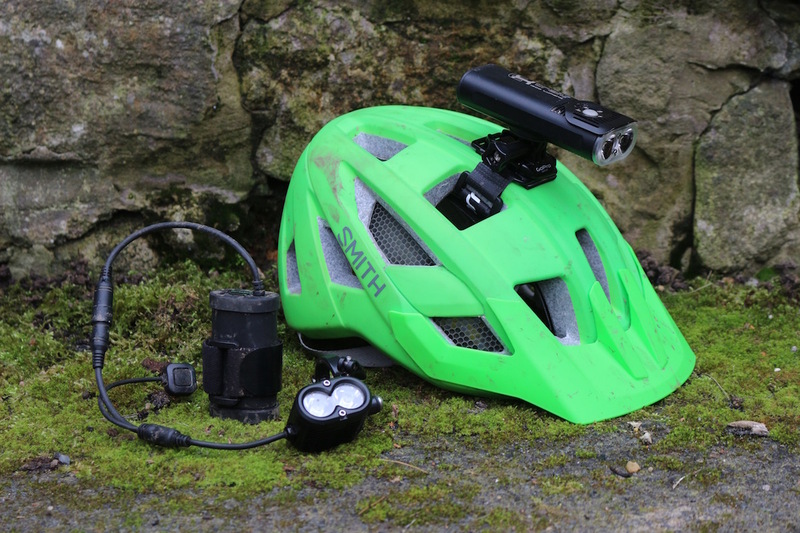 Anyway, wildlife spotting aside, these Alpha and X2 lights are the latest models on offer targeted at the mountain biking market from globally established Kiwi outfit Gloworm. The Alpha is a new model released in 2018 and targets the lower spec, less expensive end of the lights market, retailing at £129. The X2 on the other hand has been updated from its previous 2017 incarnation, and is at the higher end of the Gloworm range in both spec and price at £225. That’s an enviable newt collection! I feel the neck injury coming on already from when that side entry cable gets hooked on a tree branch and attempts to unscrew my head from my body. They look good other than that.